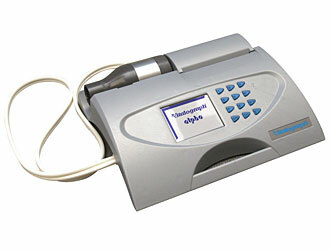 Vitalograph Spirometry machines at very competitive prices. Vitalograph Spirometers include Vitalograph Alpha, Vitalograph Compact, Vitalograph 2120, Vitalograph Pneumotrac. in2itive, Alpha spirometer, all models and other brands available on request. Spirometers are the most common equipment used for Pulmonary Function Tests (PFTs). They measure lung function, specifically the measurement of the amount (volume) and/or speed (flow) of air that can be inhaled and exhaled. 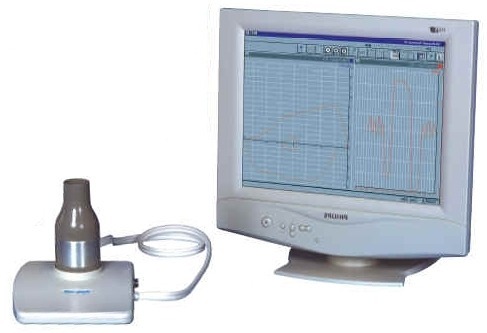 Spirometers are an important tool used for generating a pneumotachograph to assess conditions such as asthma, pulmonary fibrosis, cystic fibrosis, and COPD. There are mulitple Spirometers and sundries available. Please ask for more details of other models available. Tip: Help keep the life of your machine by also purchasing flow conditioning mesh. technology and a simple icon driven menu. large high resolution colour touch screen and storage for 10,000 subjects.